This is a spatial arrangement for the new permanent exhibition at Miraikan, the National Museum of Emerging Science and Innovation. 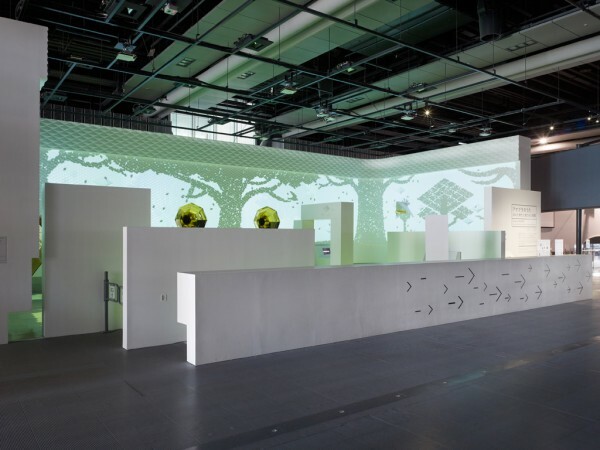 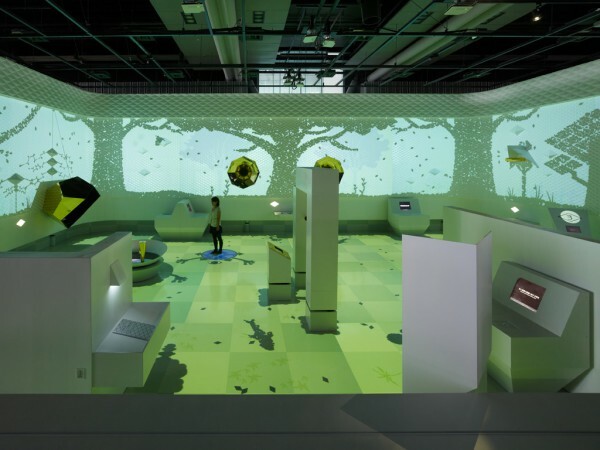 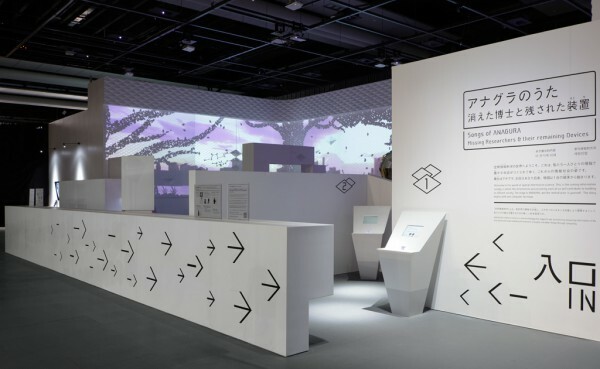 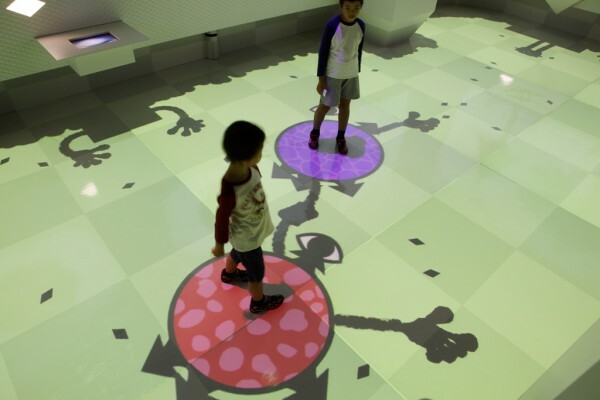 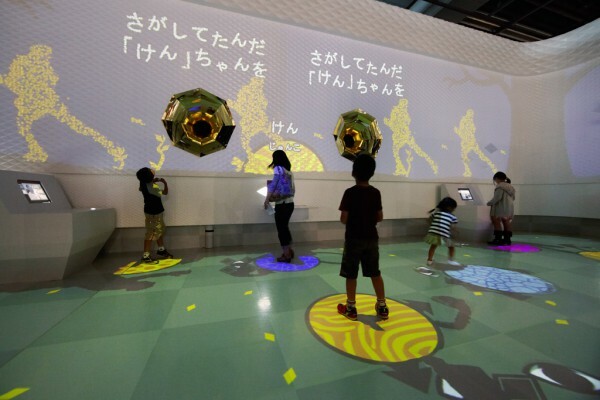 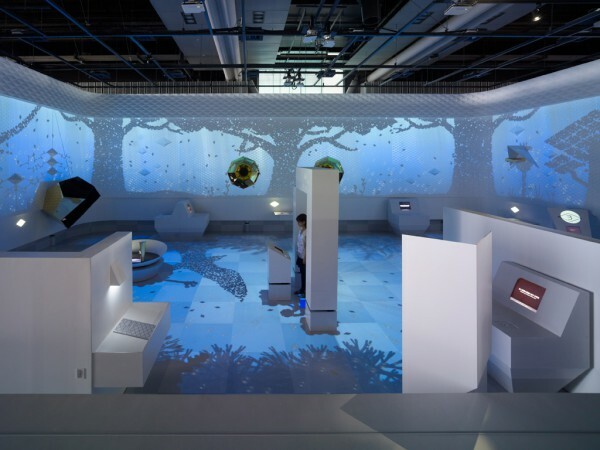 The hands-on exhibition space is centered on the theme of “Spatial Information Science” and game creator Kazutoshi Iida is the director behind the first story-based exhibition to be held at Miraikan. 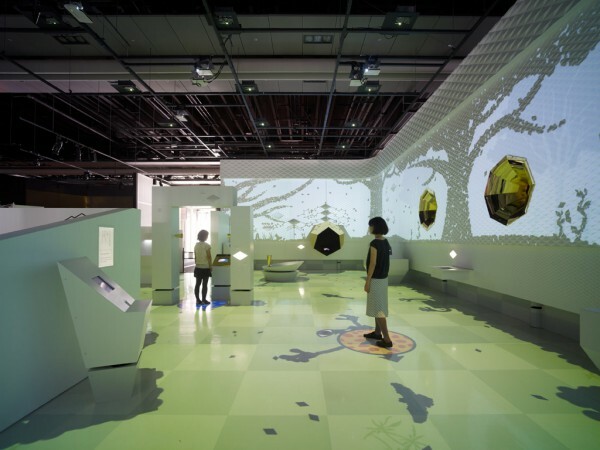 The stage is set in the future 1000 years from now in a place called Anagura, where scientists conducted research on spatial information science a long time ago. 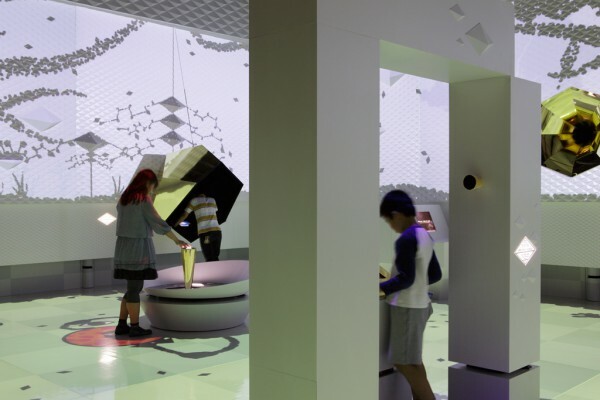 They discovered five experimental devices set up to login to space and let you experience it alongside your spatial information avatar: [Me]. 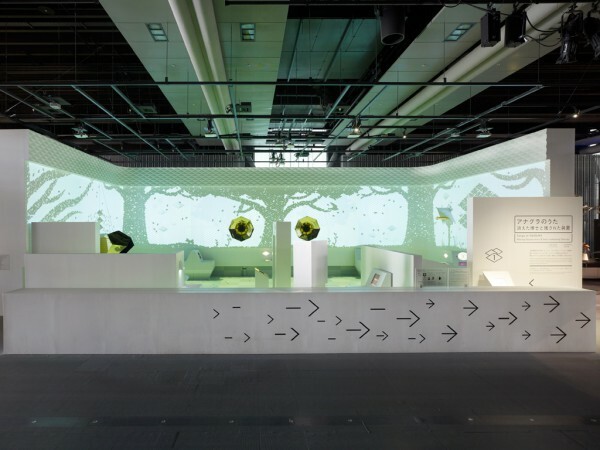 We envisioned a simple space as the background over which the world is projected on the floor and walls to give shape to Anagura. 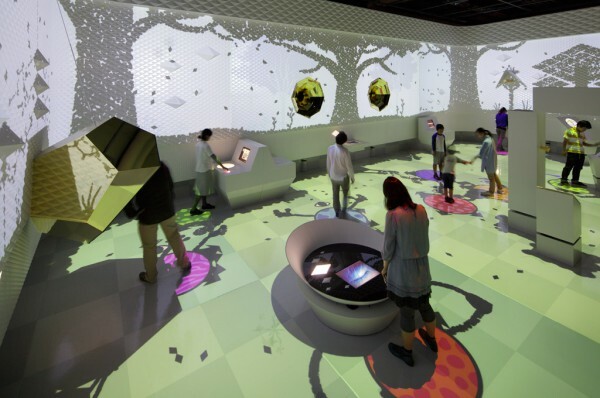 The forms of the five devices are derived from the characteristics of the information they each process as well as from the actions of users themselves. 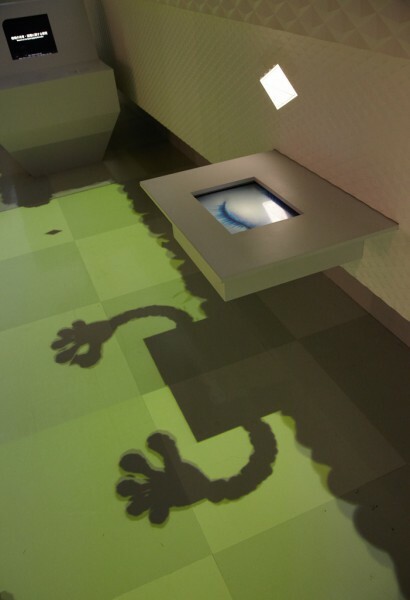 These are then paired with the desk terminals used by the researchers and positioned by taking into account the operating environment of the laser sensors. 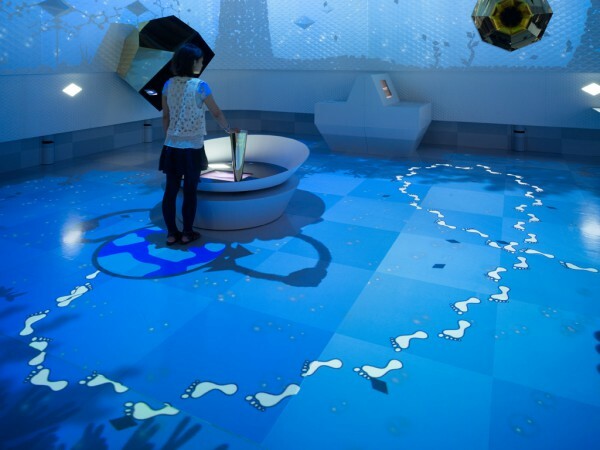 The pattern of floor tiles and the symbolism of the interpretative terminal desk symbolize Anagura as a laboratory. 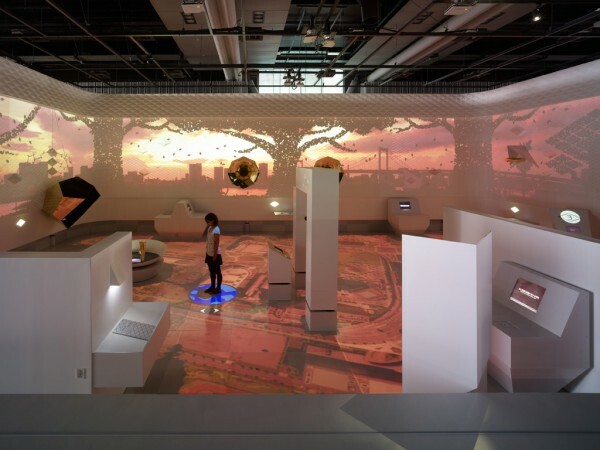 Also, the interface of these devices further set up the stage by giving off a golden glitter as if the mineral properties of the gold used within remained untarnished after 1000 years. 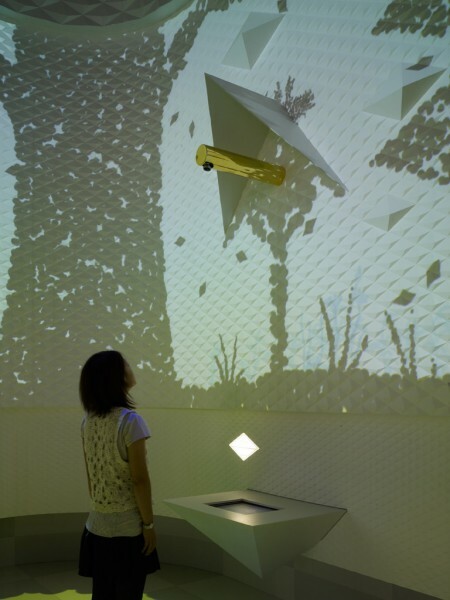 Decorative corrugated board forms an uneven screen on the walls on which images are projected. 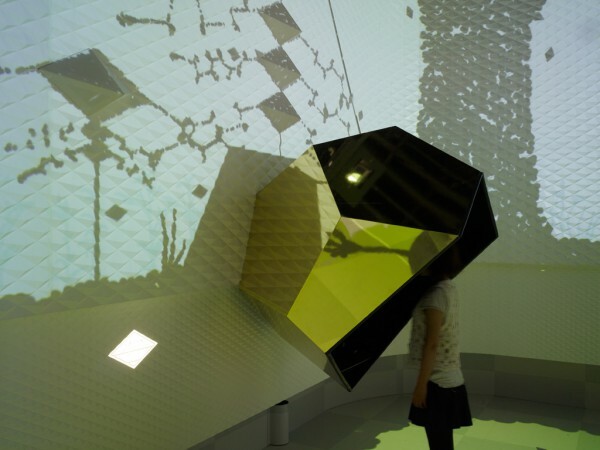 The diamond-shaped corrugations are like mineral crystals that become the building blocks of this space, responding to images that are in turn a collection of building blocks of information "bits". 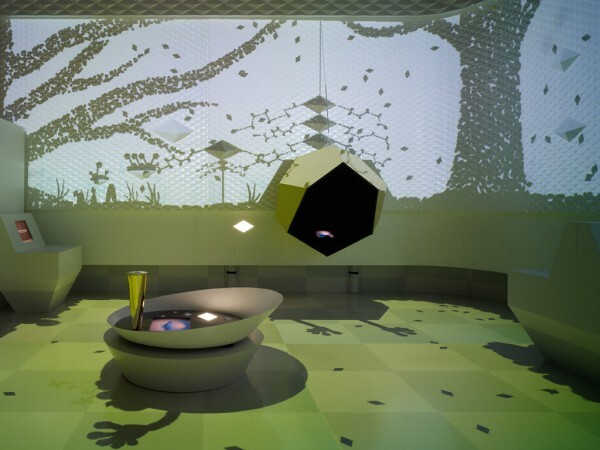 The experience of being immersed in a world of games gives a strange sense of convergence between real space and the information space on the other side of the monitor.